Westside is built on urban, sophisticated principles. 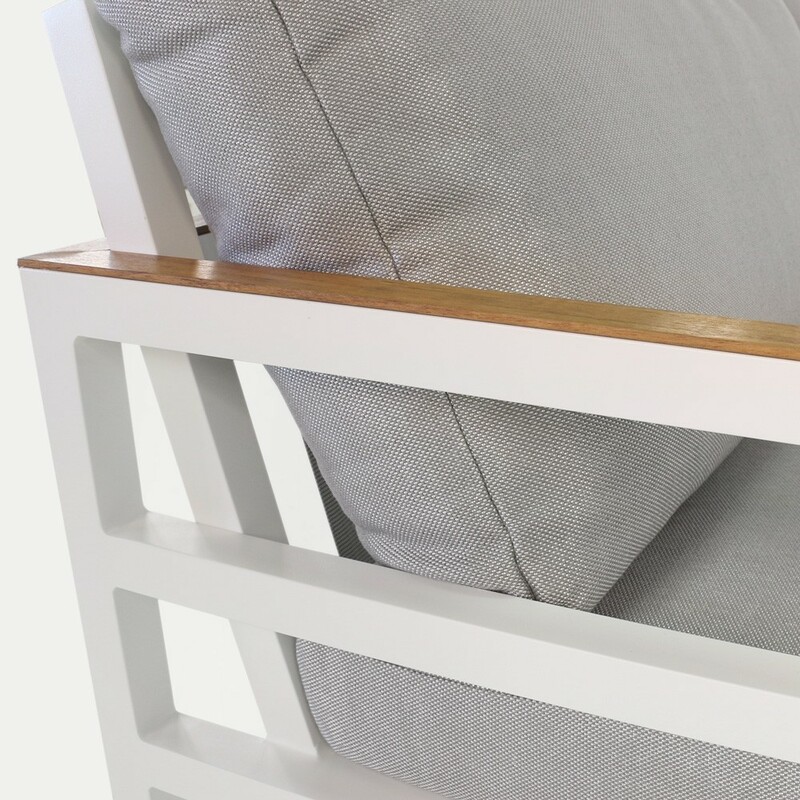 A simple, yet smart design is taken to another level with the first rate materials, presenting a sleek, linear collection that will suite many living spaces. 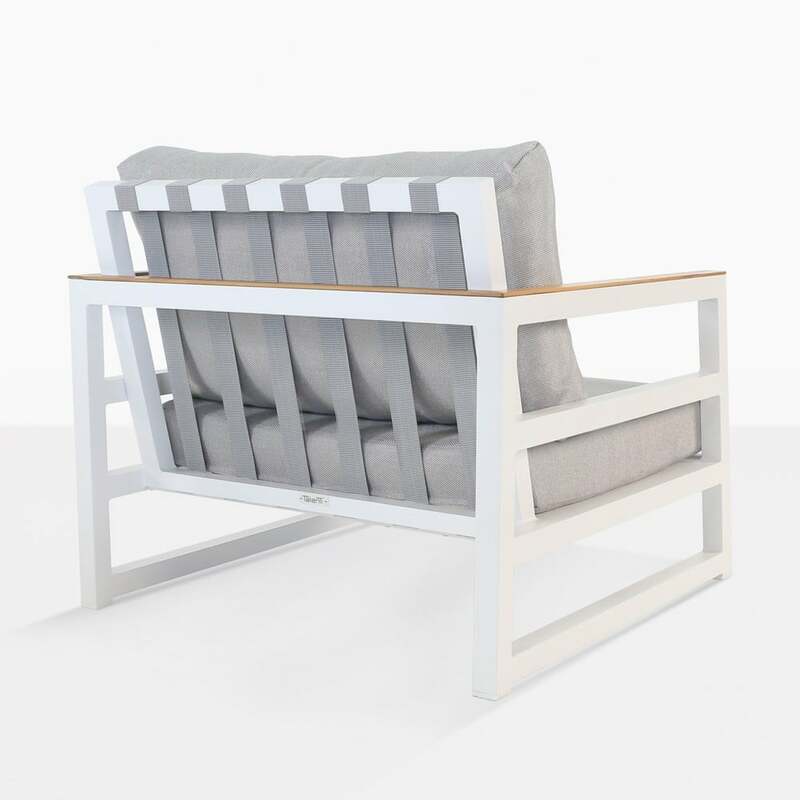 Superior in style and class, the Westside Outdoor Club Chair in white aluminum with grey cushions is a stunning chair to keep you in style and comfortable. 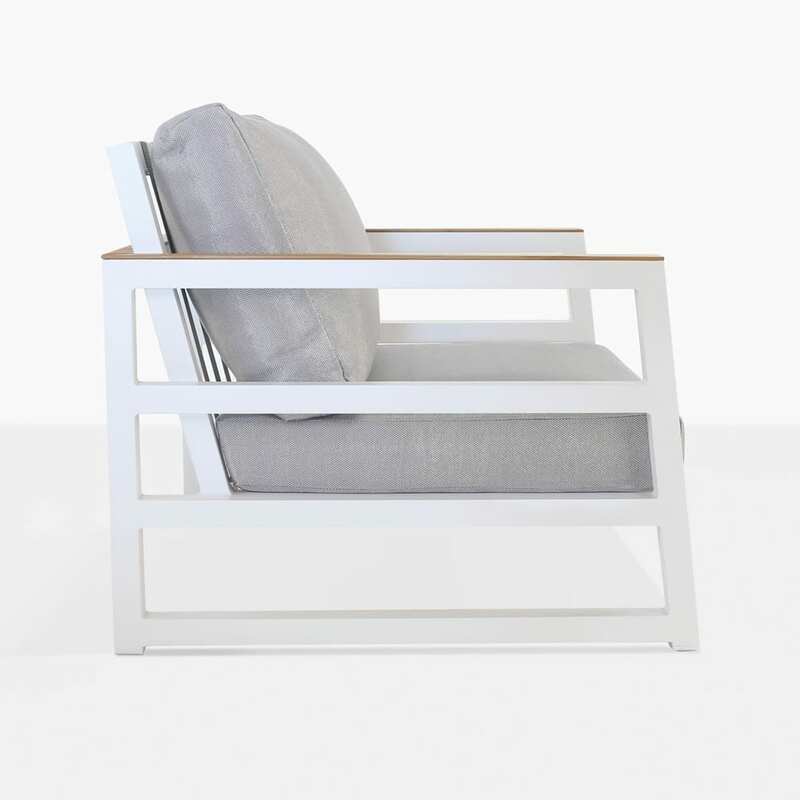 Opt for a first-class experience with the Westside Outdoor Aluminium Club Chair in sleek White. 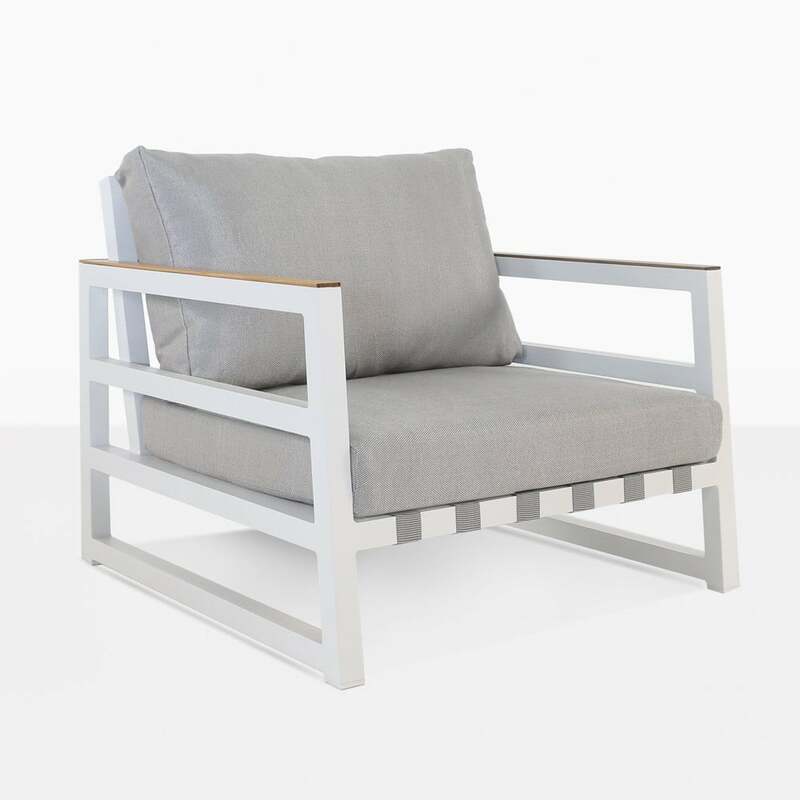 Superior in style and class, the Westside Outdoor Aluminum Club Chair in White is a fabulous piece to keep you in style and comfort in your outdoor area. The Westside Collection reflects minimalistic urban architecture with simple, bold gestures in fine form. Each piece presents a clear, chic design which makes way for uber stylish materials. The Westside Club Chair is expansive and comfortable, showing off the horizontal paneling and sumptuous cushioning. Place two of these beautiful Club Chairs alongside the Westside Aluminium Sofa for perfectly polished set up you will love. 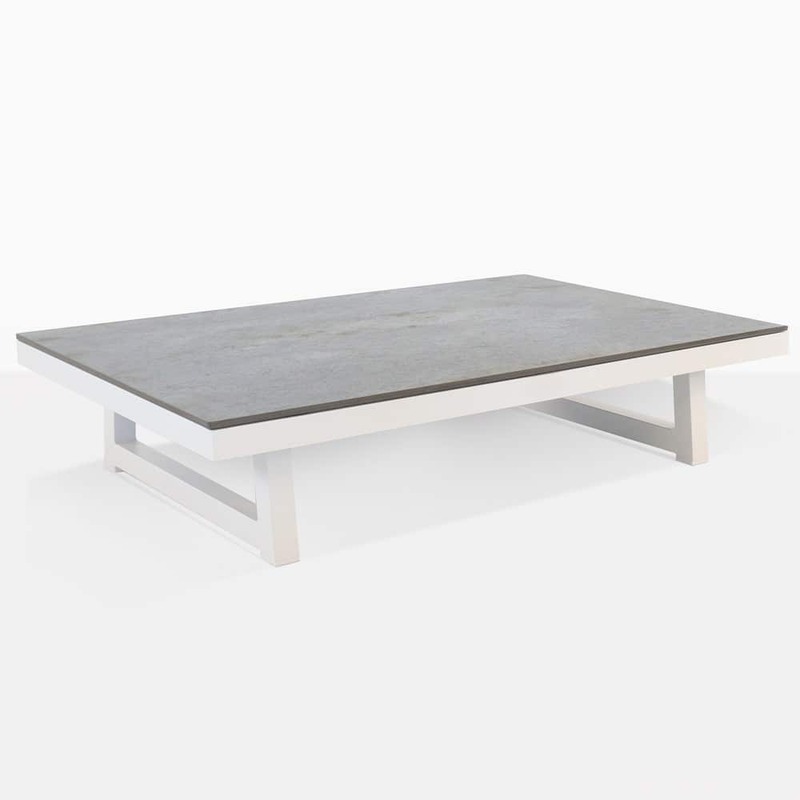 Make sure you add in a modern coffee table, such as one of our concrete or teak varieties for a fabulous, inviting set up perfect for entertaining or relaxing the day away in style! The Westside suite is great en masse or individual settings. Place the Westside Aluminium Club Chair on a modest apartment balcony to transform your space and keep you in tremendous comfort and luxury. This chair even looks incredible in an office area, turning your working space into a chic and sophisticated offering for you, your staff and visitors! The Westside Outdoor Collection is made from superior outdoor materials, from the cushioning which is covered with Sunbrella® fabric and filled with QuickDry® foam, to the amazing powder coated aluminium, these is a suite that is incredibly suitable for outdoor use as well as looking divine! 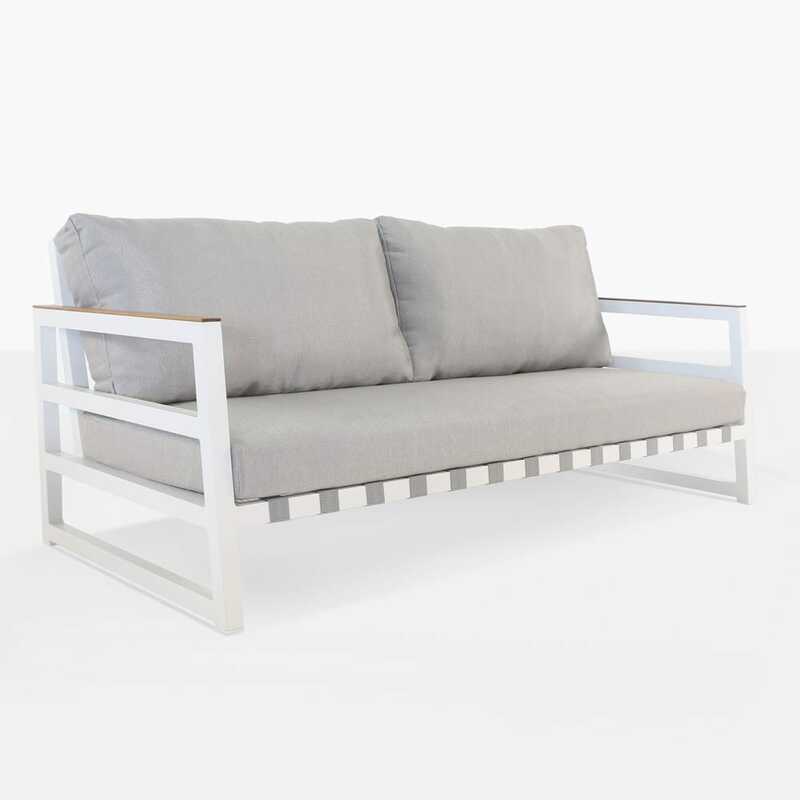 Design Warehouse has an awe-inspiring range of all weather outdoor furniture – from the stunning Westside Collection to a vast range of styles and materials in our deep seating portfolio, to dining, accessories and more! We know you’ll find something to makeover the way you live in your outdoor environment. The Westside Club Chair comes in both white and charcoal and is available today! Call now to order yours!